Well it’s finally finished and hopefully none to soon. The sweater! The article of love and affection I wish to bestow on our little blessing to transport her warmly ( no need to remind me it’s July) and safely home from the hospital. 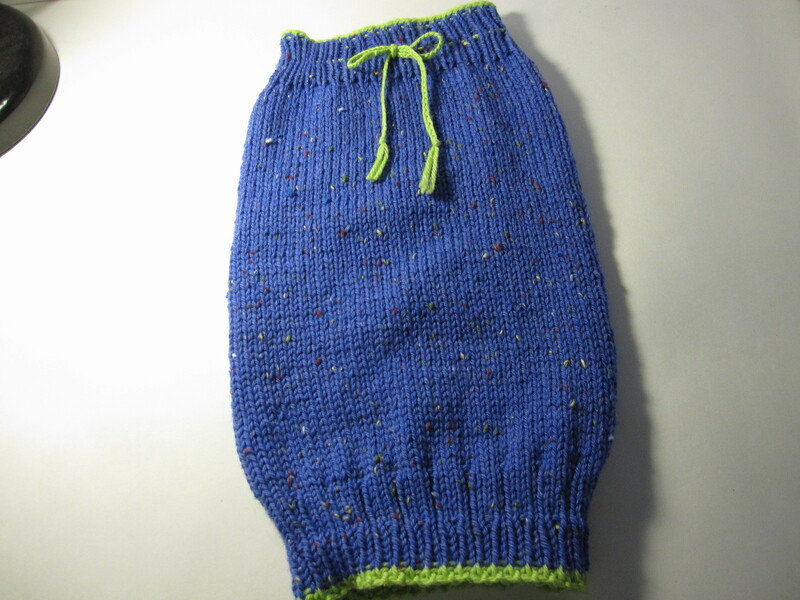 It’s based on the Kanoko Pants. 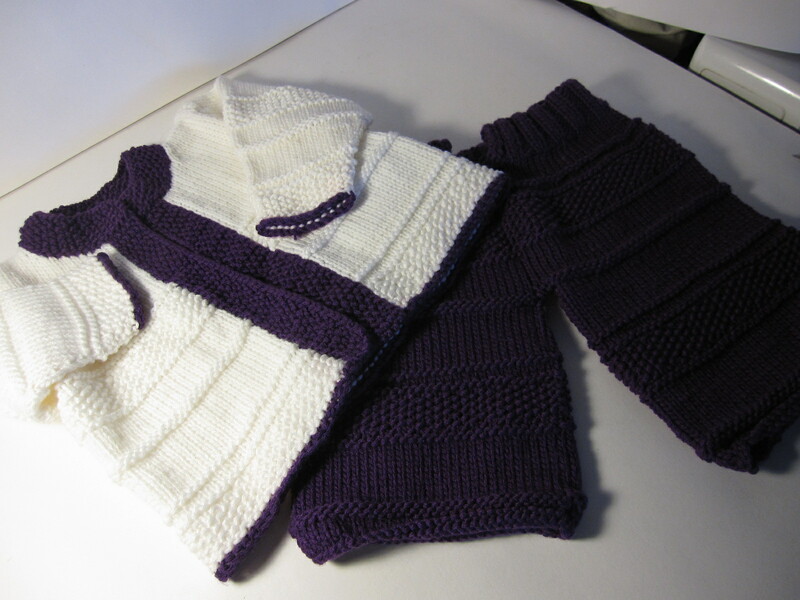 I finished those quite some time ago and loved the pattern so much that I wanted a sweater and hat to match. 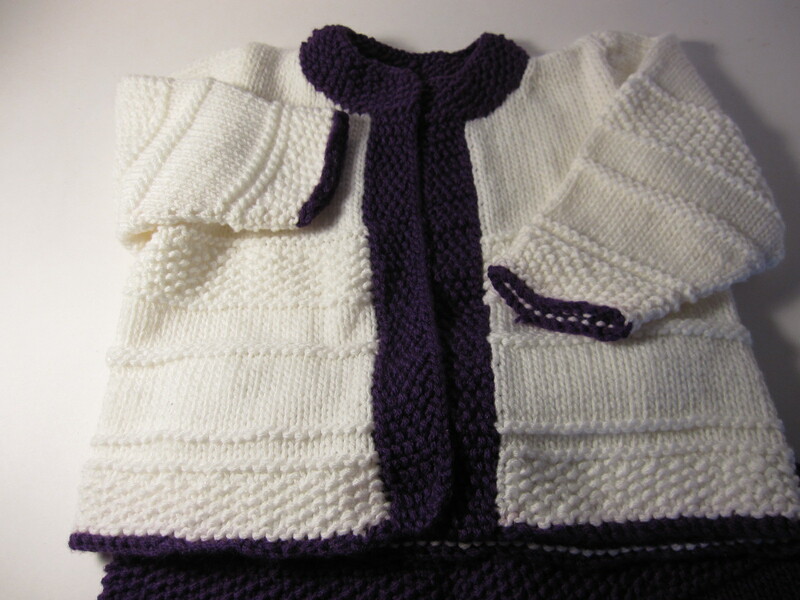 The pattern will be posted on my patterns page. I decided to go with an eggplant color. I am so sick of pink it’s not funny. Now don’t get me wrong it’s not that don’t like pink, I do, but for the love of Moses a little variation is the spice of life. I also started The Pinwheel Baby Blanket I wanted something relatively easy and a little different. (Note that it too is not pink). This will probably not be done before she gets here, but I figured it would be a good project to take to the hospital with me. 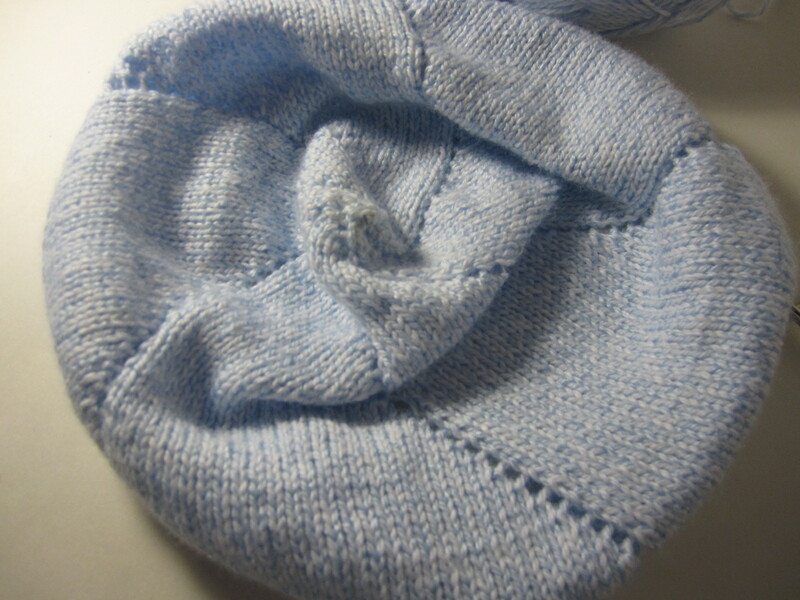 Last but not least is the Sheepytime Sleep Sack from Sheepytime Knits. Not only will it keep her warm, but acts as a soaker and makes diaper changes relatively easy. I plan to make another one of these, it was very easy and went in an afternoon. I love the Kanoko sweater! I’ve been anxiously watching your webside since you first mentioned you were working on it. I can’t wait for you to post the pattern. Best wishes for your up-coming delivery and many blessings for your entire family. Thank you so much! I will try to get it up this week, but my energy level is next to zero.